Even though it is rare to see an animal during day time, the hope of seeing one keeps your eyes scanning through the jungle. 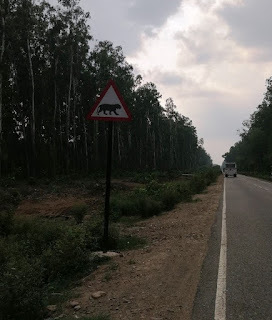 Unlike other mountain trips, this route would take us through Uttar Pradesh which was going to be quite tragic for someone like me who lives in a cold place and is not used to the chaos of the plains. The roads are extraordinary and very smooth compared to anywhere else. However, there are congested areas in inner UP that take some time to wade through. Wherever you don’t have nature, you have man. I would not say that I don’t like to look at people and watch them go by in their daily lives. 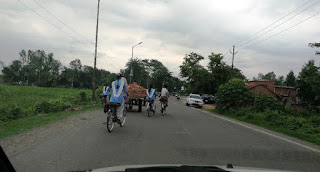 You can still see children riding their Atlas bicycles off to school on a quite road that goes through green fields lined by palm trees. There is a different kind of peace in watching people in passing; you have just a few moments to build a story in your head about what is happening out there. You know that you don’t anyone, but you make up a life and an identity for everyone you see on the streets and on the highways. This is just to remember them. Another sight is the sight on 10 children hanging by the sides of a small tempo while the seats are still vacant inside. 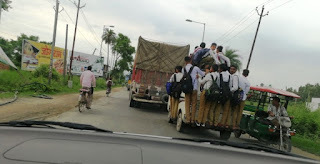 Ten school kids hanging by the sides of a three wheeler moving at high speed, fear seems to evade these people and somehow I also believe that this can only happen here and nowhere else. As you take the road to Najibabad, it starts to get hot and the roads get narrow. You have to deal with more traffic than usual and watching people drive in crazy ways makes your heart jump at times. People drive like maniacs, crossing and cutting wherever they get the space. We drove with care since even a little pushing someone can get you into trouble here. You get out of this area and then start on towards Dhampur, there’s nothing much on the highway but there is a lot of greenery on both sides. There are sugarcane fields and corn fields, all bright and green. Rice fields are prepared and flooded beforehand. There is a kind of bright blinding green which is less blinding and more illuminating. I remember we stopped at Tularam Mishthan Bhandar in Nagina. It is a sweet shop which has been running since 1945. They are greatly commercialized and would even give you their famous Gulab Jamun for free if you take a selfie at their place and post it on Facebook and Instagram. The gulab jamun is delicious and they sometimes pack it in an earthen pot. 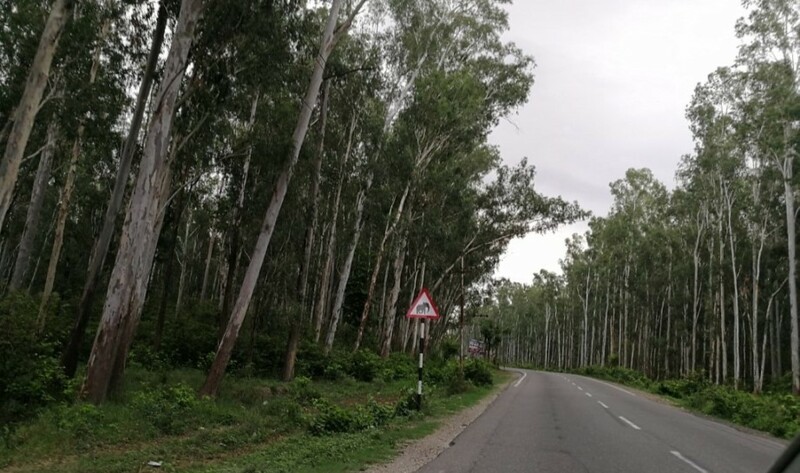 After crossing Ramnagar and the whole Corbett area, you realize that there are probably more resorts in the Jungle than there are animals. I read a board that said 1758 some resorts. I could not understand it but if it is true then it is a scary statistic. 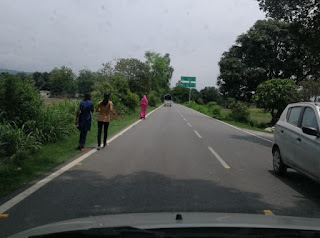 I don’t know how these people get to build huge luxury resorts in the middle of the jungle, but the whole highway was decorated with tiger safari boards. The Nainital road is also brilliantly paved with smooth curves and not a single bump on the road. It was a relaxing drive where one can just sit and look out the window without feeling scared of the turns. 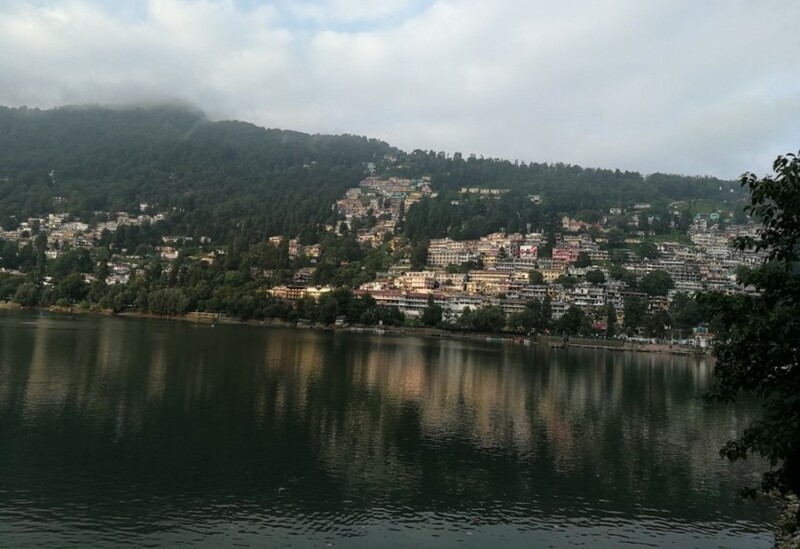 When you reach nainital, the first thing that you see is obviously the lake which is a marvelous sight in itself. The colorful sailboats sailing with the wind make you feel like you are in another dimension and it takes a while to settle down with the image of a vividly beautiful setting. A town built around a calm lake, with maple trees lining the mall road. The weather is always pleasant and when we entered, the whole town was covered with clouds. Visibility was little and the whole place looked like it was under a romantic mist. The lake was covered with white and the trees were just brown silhouettes. A walk on the mall road is reassuring in its own sense when there are less people. It was the “off season” but there were still some people, more than what I had expected. But the road was covered with thick clouds flying around and I could not see many people through it so it was even better. Visibility was not more than 5 meters and all you could see were the headlights of cars and motorcycles passing slowly from one end of the lake to another. 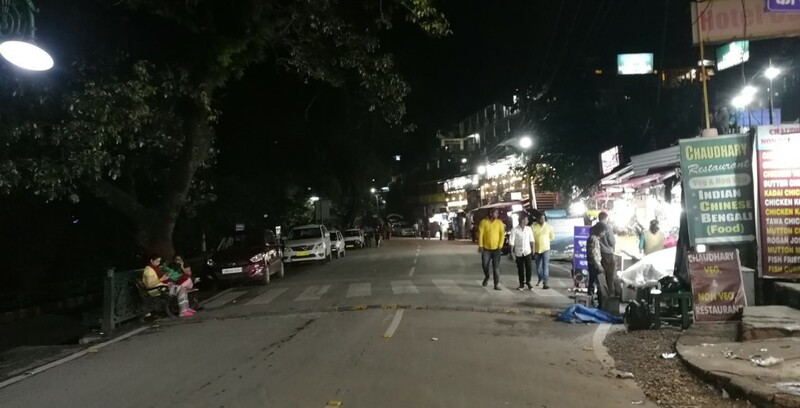 There is a huge market which runs from Tallital to Mallital, the two ends of the lake and the mall road. There are bakeries, restaurants and handicraft shops throughout the way. The hotels are quite expensive in the tourist season but after 1st July the off season rates are offered. So we got a pretty good deal and a lake view room at a decent price. 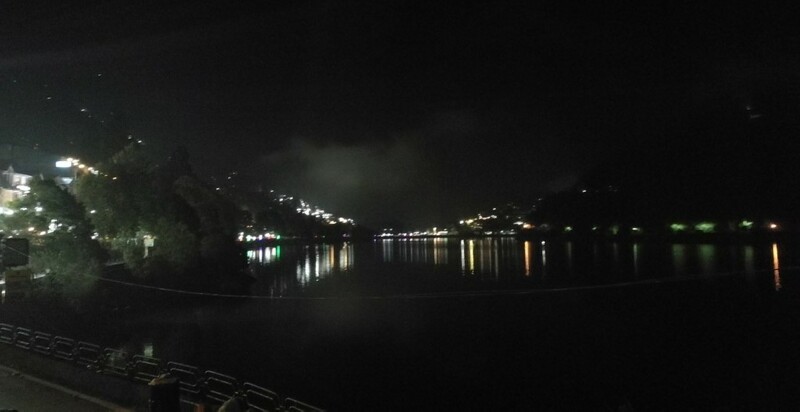 It was drizzling in the evening and the lights at the other end of the lake were casting long towers of light over the lake waters. These colorful lights look like many flickering candle flames being waved at the distant other end of the lake. One can look and meditate on the different colors and the long lines that move with the currents and ripples in water. You can feel the cold air blow from the lake to the steep cliffs on which the hotels and restaurants are hanging, with transparent doors all facing the maple trees and the lake behind them. When you take a walk by the lake, you see wooden colored boats which are handmade here by old men. Many are yellow with red stripes on the sides. Many are shaped like swans and some like dragons. The swan boats are for the lovers, and it’s a sight to see them paddling away from their troubles for an hour from one end of the boat to the other, furiously moving their legs that are not used to moving. Many honeymoon couples where the man holds the camera and the woman in the short shorts poses under the yellow lamp post, deep eleven at night. The men look ready for a lifetime of work and the women look ready for a life time of disappointment of fading romance. Best friends are often the best team. 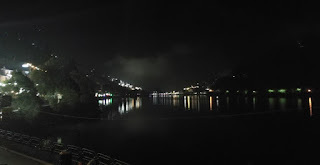 Their dark red and golden bangles shine even in the night, tank tops and henna tattooed hands with one hundred bangles, an odd mixture of tradition and modernity, both genuinely misplaced. The ghosts of a thousand marriages haunt the mall road, silently walking by the trees, plucking leaves and eating them without anyone to ask. I have nothing against them. You can get a lot of food and all kinds of fancy things here. You can even buy scented candles as souvenirs for whoever you want. The candles come in all shapes and sizes and some are really works of art. You can get wooden cats and dogs. You get wooden carts, buses, trains, bicycles and everything that has wheels or would want to move. So apart from beauty, you have your dose of material pleasures, somehow graciously lined up at the other end. You can go to a zoo if you want. There’s a “shuttle service” which takes you and brings you back. You can see wild animals in cages if you are in those kinds of things. However, the view from the zoo is pretty wild since it is on the mountain top. There’s an artificial waterfall type pool on the entrance which looks colorful and neatly made. There’s an old mosque at the end of the lake, it stands white and tall beside the football ground. It has things inscribed on its walls, which makes it look beautiful and misplaced in a small setting. You can get your pictures clicked at the gate and also watch a football game on the stands. The narrow end market roads shine bright in the evenings. I imagine when there are less people and honeymoon goers, these roads must look beautiful like all forgotten roads do. A walk from one end of the lake to the other with the wind from the surface of the lake blowing across your steps makes you want to shut your ears and keep walking, wishing the road never ends. When the clouds gather over the lake and over the streets, it makes you feel like you are alone and everyone is not watching you. This feeling is comforting and cannot be found anywhere else unless there is a lake and clouds on the road. I remember the feeling of being surrounded with clouds that leave thin droplets of water whenever you touch them. Your hair gets wet and water droplets hang from your eyelids when you keep walking on an evening like this. You can enjoy an hour long boat ride whenever you want and it’s not expensive at all. You can take the paddle boat or you can take the row boat where someone rows your boat while you sit and relax. Most people don’t sit and relax; they are more interested in collecting the memory on their phones and cameras. I realized that when people come to a beautiful place, they want to seize it to see later, but mostly they never look at it later because they don’t have any memory of that moment. A sunset never reaches you if you look at it through the screen, maybe it does, I don’t know. You might want to book the hotels in advance if you find a good deal, else you can just walk in and bargain for a lake view room if you have the talent. Don’t take the inner dark rooms because there is no point in taking a room without a view. You will sleep soundly with an open window and the sound of a quiet humming rain. 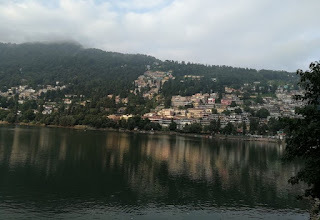 Nainital is one of my favorites, the first time I came here, there was snow. 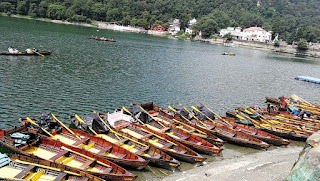 After this fairytale outing in Nainital, we left for Mukteshwar at around 11 AM. 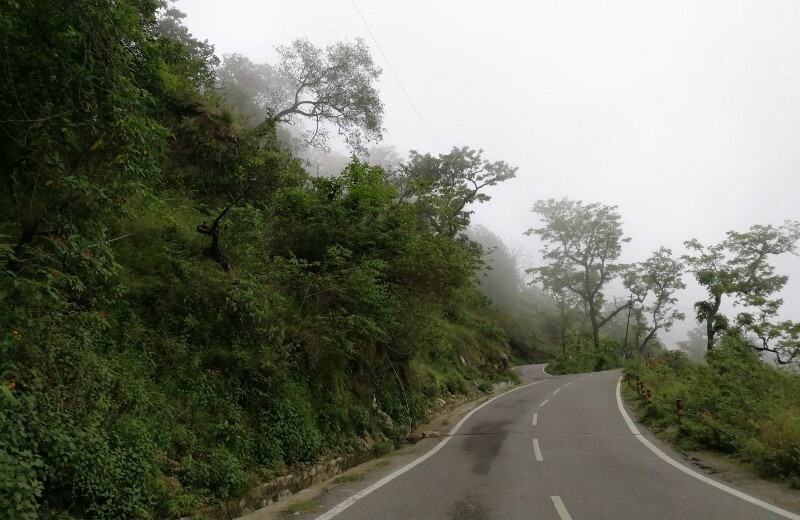 Stay connected, reaching Mukteshwar soon..